INDOMIE CHICKEN PEPPER SOUP PACK HUNT!!! 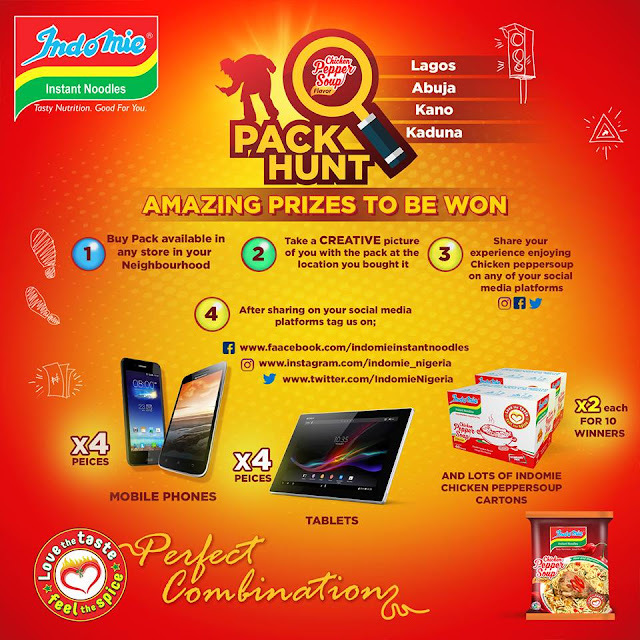 Lots of mouthwatering prizes to be won in the Indomie Chicken Pepper Soup Pack Hunt! 2. Take a creative picture of you with the pack at the location you bought it. 4. After Sharing, Tag Indomie on Facebook, Twitter or Instagram. So what are you waiting for, go get your self a pack of CPS and stand the chance of winning.